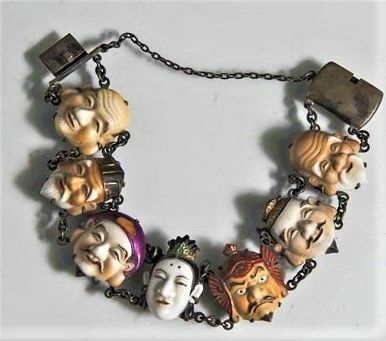 Bracelet with the masks of the 7 Japanese Lucky Gods. 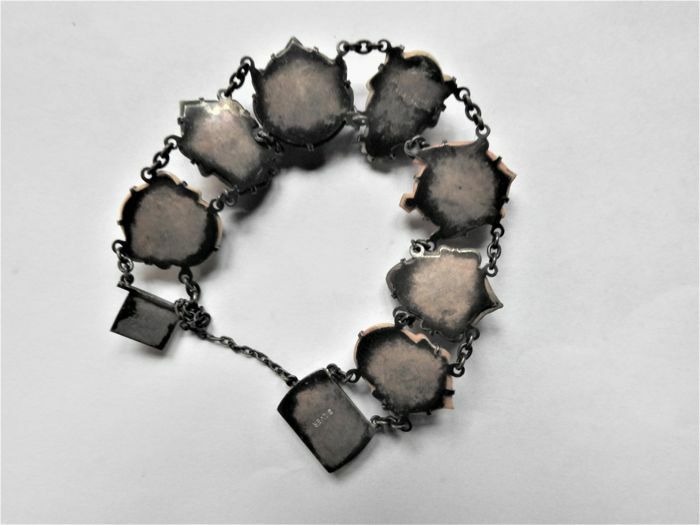 Circa beginning of the 20th century. Porcelain, very 3D design and colourfully painted. Sounds good - thank you very much.